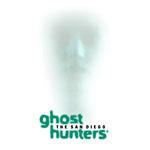 As brief as it was edited down to, The San Diego Ghost Hunters makes an appearance on The Travel Channel's "Most Terrifying Places in America". Not surprisingly, our segment of the special focuses on the history and mystery of the Whaley House. For those not familiar with the museum, this would be a great primer on what is considered by many to be a top 10 American haunted location. I personally would not classify the Whaley House as "terrifying" but hey, that's television for you. The special will repeat throughout October as part of their Halloween programming.